I'm a Winner! - When pigs fly. I zipped in and was zipping out when I heard the call of the instant lotto machine flashing and humming near the exit. 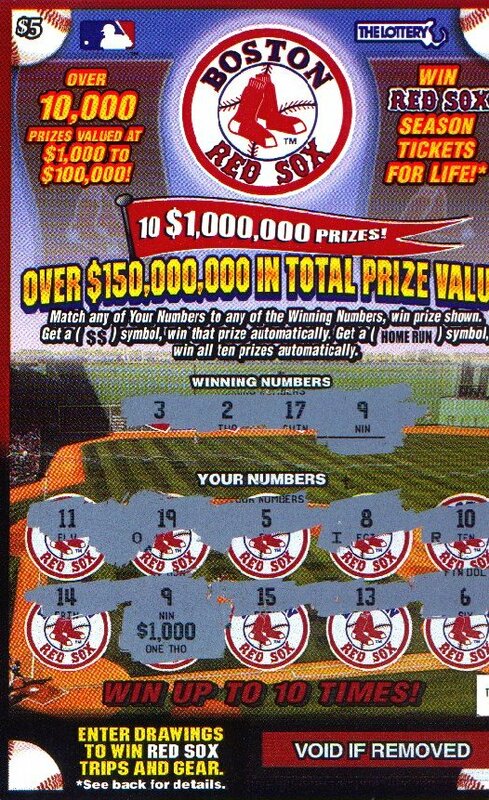 I normally ONLY play one game, the $5 Boston Red Sox game -- spending an average of about $20/week on the bloody game -- and making back about 80% of those spendings. I've never won more than $200.00 on any singe ticket -- but today was to be a fateful day! Could is be real!? Was I seeing things? Nope! It was indeed real! I scanned it to show off a bit (clickable, on the right), then zipped to the Lottery Office (just south of me) and then took my winnings to the bank straight away! Woo hoo! Boston Pride weekend started out on a good note so far! How AWESOME is that!! Congrats! have a kickass pride weekend ! Wow! That's awesome. Lucky stiff!